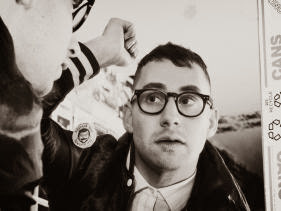 For Gone Now, the much darker follow up to 2014’s Strange Desire, Bleachers' Jack Antonoff wrote from the perspective of someone contemplating his own death. In interviews, the singer said that the new record grapples with ideas of loss, not only of himself, but of his loved ones–the backdrop of adolescent angst and nostalgia is thick. Keeping with an ethos rooted in teenage emotion, Antonoff is even bringing a trailer-housed recreation of his childhood bedroom with him on tour.